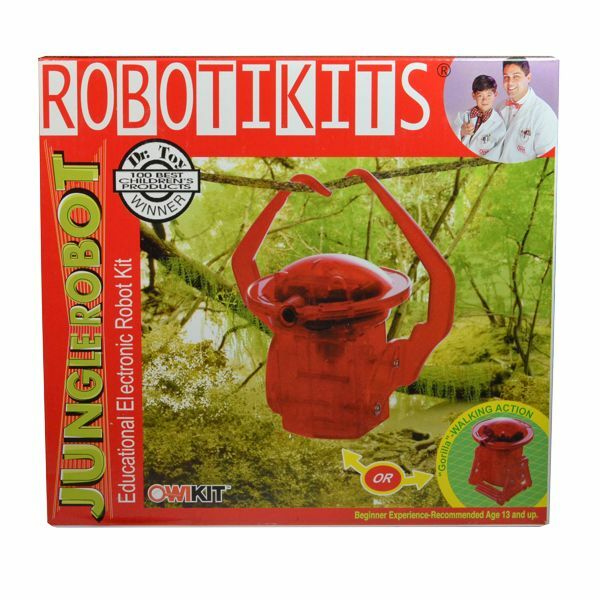 The Jungle Robot Kit is a great starting point for children beginning an adventure in robotics. This kit can be assembled to make one of two distinct robots: one that traverses a string using hand-over-hand motions or a more traditional one that prefers to have its feet on the ground. The Jungle Robot will sleep until woken by a command or other loud noise. It will then spend some time climbing or walking before it goes back to sleep. Children will have fun commanding it to move along. 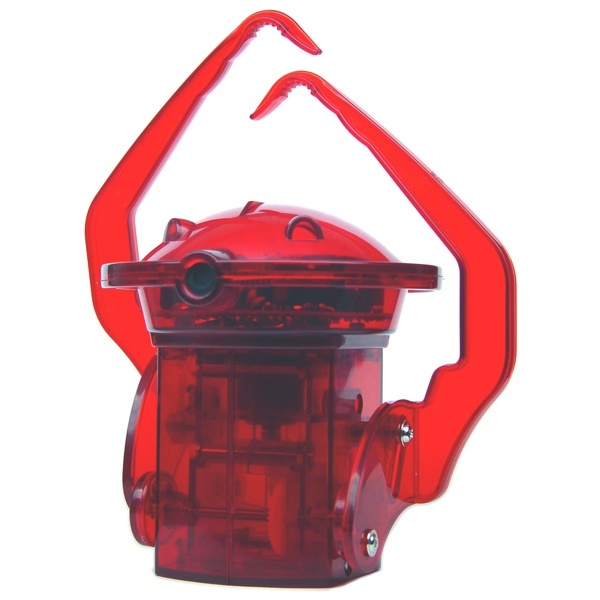 This simple robot is intended to introduce children to kit building inspire them toward an interest in robotics. The kit is easy to assemble with basic hand tools. A preassembled circuit board with microphone and a mechanical drive system are provided so that no soldering is needed. Two AA batteries are required for operation.